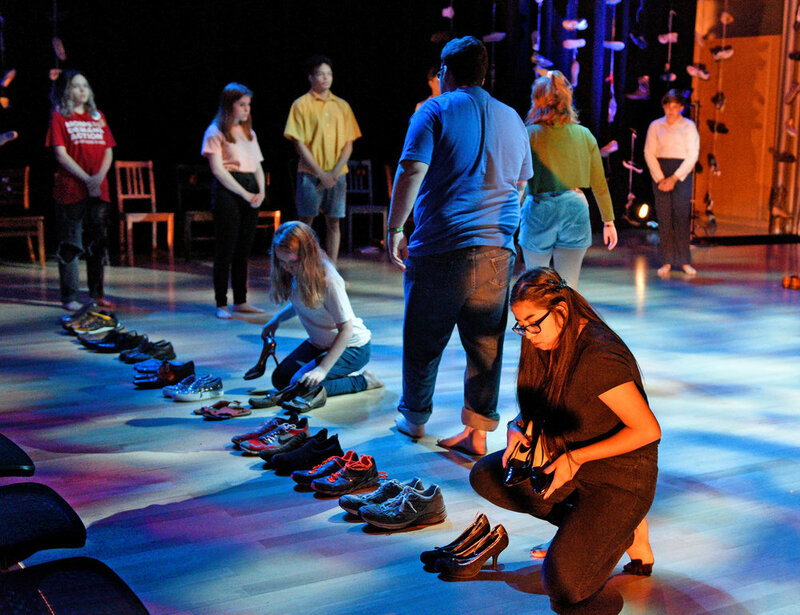 Cry Havoc Theater Company challenges audience expectations of what youth theatre is. We are uncompromising in our belief that young people have the intellectual appetite and emotional maturity to tackle complex, provocative material. And we are dedicated to providing serious (and seriously talented) young people the opportunity to create artistically viable theatre under the direction of professional artists, regardless of their financial means. The original verbatim theatre productions we create are derived from first-person interviews on difficult subjects. To accurately represent the conversations onstage, we do a LOT of research. We travel across the nation, talking to people on all sides of an issue and put ourselves right in the center of some of the most heated debates in the country. Learn more about what we're doing, who we're meeting, what we're reading, watching, and listening to. In the Middle Ages, "Havoc!" was a military order given to tell troops to go forth and create chaos. In Shakespeare's JULIUS CAESAR, Marc Antony, upon seeing the body of the betrayed Caesar, predicts total destruction. He speaks of Caesar's spirit rising up and unleashing the dogs of war to wreak havoc on the Senate. The name of our theater company is taken from this quote and is a call to action. We seek to wreak havoc on the status quo and to bring a new style of theater to the youth of Dallas and beyond.